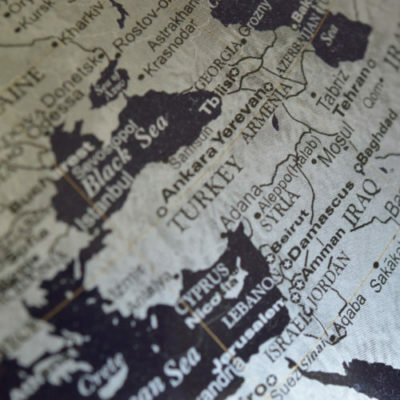 Join the Henry Clay Center for Statesmanship, in partnership with Marymount University, for a special lecture on U.S. foreign policy in Syria. 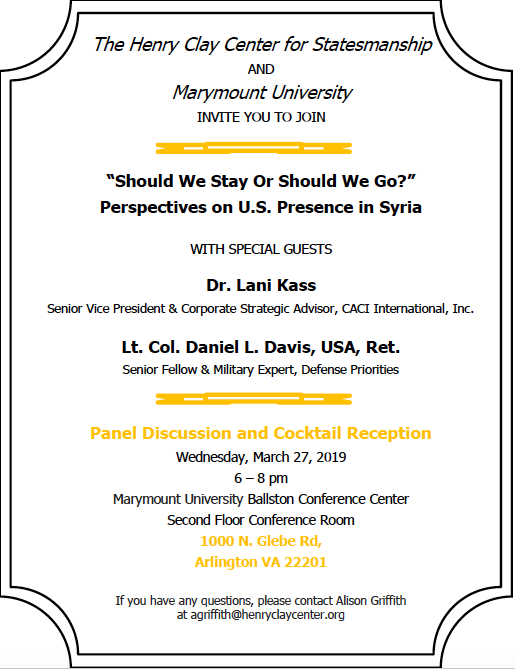 Panel experts Dr. Lani Kass, Senior Vice President and Corporate Strategic Advisor at CACI International, and Lt. Col. Daniel L. Davis, USA, Ret., Senior Fellow and Military Expert at Defense Priorities, will address the range of U.S. policy engagement options in Syria. A reception will follow the presentation.